I was reading a New Yorker article (Link ) about a new type of cryptocurrency that a company was using to fund its operations. As I was reading, it sounded very familiar. In my 2007 novel Emperor Dad, my rogue inventor who had created teleportation had, for noble reasons, declared himself Emperor of Earth. Now, working in the shadows with police of all nations looking for him, he had to fund his own operations. Using his teleportation, he stole what equipment he needed, but ‘paid’ for it with his own unique money. Then, when he peddled his services on the world market, he accepted payment in his imperial currency, building a demand for the bills. While I used fancy printed paper bills and their new stuff is all digital blockchain stuff, the financial model is the same—a unique currency to pay for unique services. The Download page, available from the menubar, contains a variety of reference sheets, such as the catalog, a maturity guide for young readers, and other things that might help a reader know what to look for. Occasionally, I’ll update the catalog and some of the other sheets. They are PDF files that people can download and optionally print. While I attempt to keep everything up to date, if you find something there that is dated, let me know so I can fix it. I have, over the years, outlined the whole story that takes place in the Project Saga Universe. Today, I thought it was about time I made up a chart, showing where everything went. Full-res PDF version At this point in time, seven of the eighteen books are published. Two of them are completely written, but not published. Two more have detailed outlines, which means that they will be written fairly quickly. Unfortunately, that means I’m really only half-way to the finish line. Being of the gray-haired persuasion, I do worry about my available time, so I have a backup plan that consists of reducing the Wizard of Mars trilogy and the Children of Earth trilogy to a single book each, which would reduce the book count down to fourteen, but that would leave out so much! 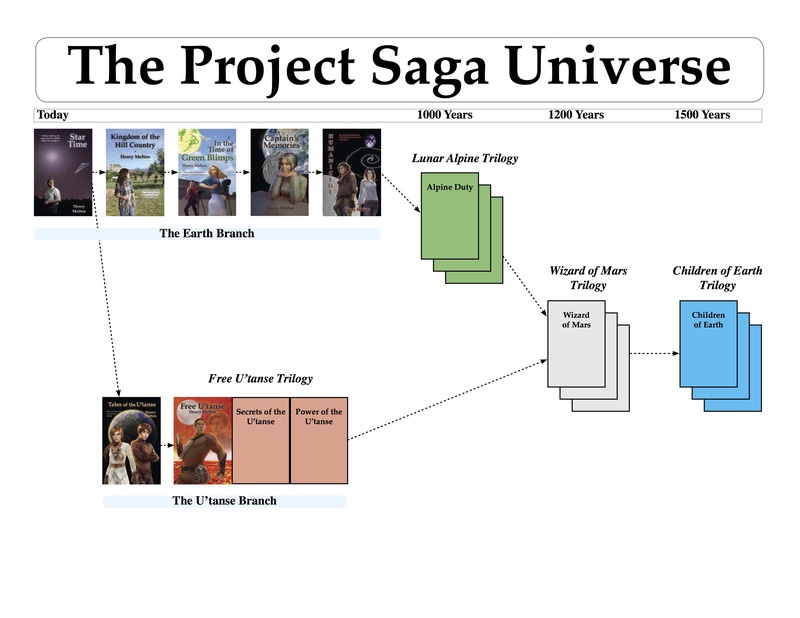 For those people who hate to buy a partial series, this chart also shows how the books are related. The Earth Branch is completed. It consists of five books that can easily be read independent of the others, but is richer when read as a group. The U’tanse Branch actually consists of Tales of the U’tanse which contains a set of novellas that tell of the beginning of the U’tanse culture plus the Free U’tanse trilogy that is more tightly connected. Coming up as soon as the U’tanse Branch is completed is the Lunar Alpine trilogy, taking place with the same main character on terraformed Luna long after the events of Humanicide. The first book is written, the other two have been outlined. The grand reunification of humanity takes place in the Wizard of Mars trilogy. I may change the title of the trilogy, but that’s the name of the first book of the three. Reunited, the Children of Earth round out the final trilogy, where humans and their children take their place in the larger galactic civilization. I greatly hope everything plays out according to plan, because this is a story I’ve been telling for decades and I would love for the rest of you to have the chance to share it. Humanicide has been named Finalist for the Next Generation Indie Book Awards in Science Fiction for 2016. Free U’tanse has been named Finalist for the Next Generation Indie Book Awards in the Young Adult section for 2016. Expect the covers to be adorned with appropriate stickers in the future. Synopsis: Mars was terraformed, and the biotech engineers could walk on Luna without breathing gear. Earth had three moons and hundreds of orbiting habitats in the Clusters. The great Terraforming Project was hitting its stride, but there were conflicts over which nations would get favored colonization sites on Luna and the anti-technology Three Sins cult was demanding that it all stop. But what disturbed Dr. Bet Nomad, circuit doctor for many of the minor habitats in the Clusters was a simple cough that seemed to be found every place she visited. The more she learned, using banned genetic technology, the tighter her own limitations restricted what she could do. She was banned genetic tech herself, living in the shadows lifetime after lifetime. But she was certain something was wrong — something evil. 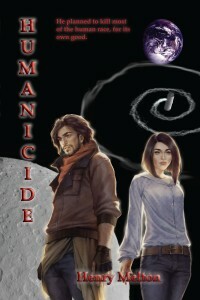 “Humanicide” is the final chapter of the Earth Branch of the Project Saga. 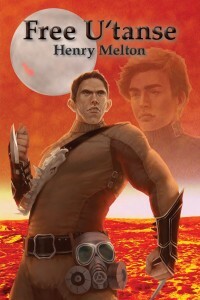 Critique: Deftly crafted and compelling from beginning to end, “Humanicide” is an especially recommended read for all dedicated science fiction enthusiasts and one in which author Henry Melton demonstrates that he is a master of the genre. Highly recommended for community library Science Fiction collections, it should be noted for personal reading lists that “Humanicide” is also available in a Kindle edition ($4.99). As I sit at my table, talking to people looking at my books, people often ask about the artists. “Who did that cover?” In this and a few other interviews, I’m hoping to answer that question. My first children’s book was quite a different project than my novels. This was a collaborative project with my sister, noted artist Mary Solomon. Introduce yourself. What kind of work is your specialty? How long have you been at it? I have been painting or drawing my entire life as I can remember some first memories as crayon art. Then I learned to draw! A whole new world opened up for me. I had seen remarkable sketches made by my father and uncle of mechanical things. I had no real interest in drawing airplanes and such but was so interested in fashion and the drawings in the newspapers of the new styles out. At that time, there were no pictures of the clothing, only drawings. I studied these drawings of women and hairstyles. I would copy them and make them my own. As I progressed, I did my own designs and remember entering a national magazine contest while in high school of fashion drawings and won. It is interesting how having this skill made a shy little girl feel empowered. I enjoyed the attention I got from these drawings and wanted to go further. I have developed my style of art through the years, taking a class here and there and learning to use different media to accomplish my goal. I now paint in oil, acrylic, watercolor, pastel and pencil. How did you meet up with Henry Melton and why did you decide to help him with his art needs? I’ve known Henry since the day he was born. I remember the day he was brought home from the hospital in Siloam Springs, Arkansas. I have adored, loved, admired and picked on my little brother throughout his remarkable life. Henry has wanted me to do covers, etc for his books for quite some time, but I realized his books deserve a more graphic type of design for the covers. They are remarkable science fiction books, but I would have them looking more like a lovely afternoon read. 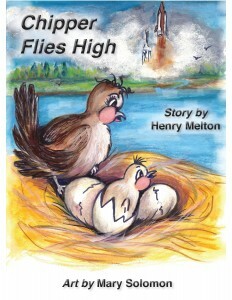 Henry asked me about illustrating a children’s book for him and was instantly on board. Many artists collaborate with others to produce the final image. Did you create the cover art yourself, or with the help of others? If this was a collaboration, then who did you work with? I did not collaborate the idea and the images in my head for this book. I spent hours looking through space picture books because I did not understand much about the mechanics of it all (back to my dad’s mechanical drawings.) I loved the script and message from the book and I hope every child gets to read it. I think we all go through insecurities for one reason or another and this story exhibits how our insecurities or inabilities can be made into something positive. I want every child to feel good about themselves. Were there any notable difficulties, or high points in creating the image? The high point was developing Chipper. I wanted him to be vulnerable and very positive at the same time. The difficult part was the mechanical aspects of the drawings. I wanted to make Henry proud. What is the hardest part of doing cover art for novels? Since this was my first one and it was an illustrated book for children, I wanted Henry to pick which image he wanted for the cover. I approve of his choice. Do you prefer to work from a single concept? Or would you rather read the text and create an appropriate image? Definitely read the text first. Don’t know how you could do it any other way. Where is your artwork leading you? Do you intend to do more cover art, or have you passed that by and are heading for other goals? I have had a working studio and gallery for 10 years and prior to that had a gallery at home. I do mostly commissioned portraits and as I call them “paintings of your favorite things” such as florals, landscapes, animals, etc. I plan to continue on with what I am doing in the present and as always improve. If the right cover came along, I would always consider doing another. Where can the reader see more of your work? Do you have a website? Are there other notable works they can find? 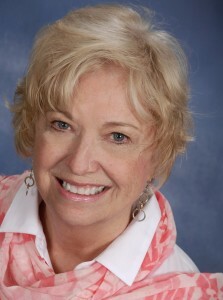 You can find me at marysolomon.net, or visit my gallery in Amarillo, TX., 3701 Plains, Ste.68. Thanks Mary, for answering these questions. Now if I can just talk you into doing the art for the next children’s book. 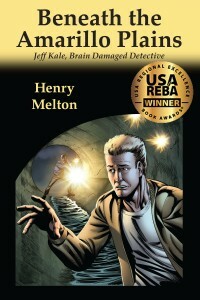 The Regional Excellence Book Awards has just given my book the Young Adult Fiction award for the Southwest Region. Now I’ve got to get the new stickers in to decorate the books. Oh, and change several of my promotional fliers to highlight the award. And… lots of things. I wish I could just take a second to bask in the moment, however, I’m leaving for Aggiecon shortly.